Will we decide all is lost, or will we decide all can be gained? Cholesterol is a wax-like fatty substance found in almost every cell of your body. You need cholesterol to make hormones and vitamin D, digest your foods, protect your nerves and for the production of cell membranes. Although it has been vilified, it is essential to your health. Your liver manufactures most of the cholesterol you require from the nutrients in your food. Dietary (preformed cholesterol) absorption rates also vary between 20 and 60 percent in individuals.2 This may explain why eating cholesterol affects cholesterol levels differently in different people. You may be following your cholesterol numbers in terms of the “good” cholesterol (HDL) or the “bad” cholesterol (LDL). But the best way to interpret your cholesterol numbers is to understand your cholesterol ratio. To say that all low-density lipoprotein (LDL) molecules are bad is an oversimplification of our understanding of cholesterol. Through the use of new technology to test the size of lipoprotein particles, scientists have identified which sizes are more closely related to heart disease. The smaller sized LDL molecules hold the highest risk for cardiovascular disease (CVD). Instead, a better predictor is the ratio between your high-density lipoproteins (HDL) and total cholesterol. HDL is an important factor in the fight against heart disease. Your ratio between HDL and total cholesterol (or HDL divided by your total cholesterol, multiplied by 100) should ideally be above 24 percent. Triglycerides are another type of cholesterol formed in your body with excess blood sugar from the metabolism of carbohydrates. They are a significant risk factor in the development of heart disease. Your triglyceride to HDL ratio (triglycerides divided by HDL, multiplied by 100) should ideally be below 2 percent. In the two videos above, you’ll discover some of the history behind why science has clung to the belief that cholesterol is responsible for heart disease, and why they have been wrong. Recent research9 has again confirmed that high cholesterol is not linked with heart disease in the elderly, prompting the researchers to conclude that reducing cholesterol levels with statin drugs is “a waste of time.” Unfortunately, statins are not innocuous drugs, making their use more than just a waste of time. Before taking medications with such a significant side effect profile, it’s important to weigh the risks and benefits of the drug. Ultimately, statins increase your risk of other dangerous health conditions, while not delivering on the promise to reduce your risk of heart disease or other cardiovascular events. More than a waste of time, they are a danger to your health. If saturated fats and high cholesterol levels are not a cause for rising heart disease rates, what is? The numbers of heart attacks and strokes began to rise dramatically in the 1950s, after research was published blaming heart disease on saturated fats. The study found that nearly half of all heart attacks may be silent and since people don’t know they had a heart attack, they don’t seek the care needed to prevent another one. Researchers caution that once discovered, those who have had a silent heart attack should be treated as aggressively as those who had a traditional attack with symptoms. Abdominal fat is different from being generally overweight. You can be within normal limits for weight but still carry abdominal fat, increasing your risk of metabolic stress and heart disease. Reducing belly fat requires more than just reducing calories or increasing exercise. In my previous articles titled “4 Ways to Shed Belly Fat” and “Cut Down on Carbs to Reduce Body Fat” I outline several strategies you can use. Smoking is a challenging addiction to break. However, it is also a significant risk factor for heart disease. Drugs used to stop smoking have also been linked to an increased risk of suicide. Instead, make a plan, work with a support group, include an exercise program and understand you may stumble once in a while. However, just because you smoke one or two, doesn’t mean you have to go back to your old habit. Net carbs are equal to the number of grams of carbohydrates you’ve eaten during the day minus the number of grams of fiber. If you generally eat 1,500 calories per day, you may want to limit your net carbs to between 300 and 450 calories each day. Substitute healthy saturated fats in your diet for the carbs you are losing. These may increase the size of your LDL cholesterol and protect you against heart disease. They include raw, organic nuts and seeds, avocadoes, pastured organic eggs, grass-fed meat and virgin coconut oil. A regular exercise routine is one way to improve your emotional, physical and psychological health. It improves your sleep, reduces your risk of heart disease and improves your resistance to infection. Peak Fitness is an exercise program I developed to address the health needs of my body without the damaging effects of hours of cardiovascular work. Even if you exercise an hour a day, six days a week, if you sit behind a desk all day you eliminate the benefits to your heart and health. I recommend standing up as much as possible. I’ve cut my sitting down to about an hour a day, but aiming for a max of three hours of sitting a day is a worthy goal. A stand-up desk is a great investment if you have an office job. Also make it a point to walk more. The idea is to keep your body moving throughout the day. This can also help increase your productivity and creativity, and may even be helpful if you’re struggling with back pain, like I did. Keep your gut microbiome healthy and flourishing to reduce your risk of heart disease and improve your cholesterol ratio. Include fermented vegetables in your daily nutritional plan, eat 50 grams of fiber for every 1,000 calories you ingest and take antibiotics only when absolutely necessary. That sounds absolutely crazy but it is true. We are literally being drugged out of our minds. 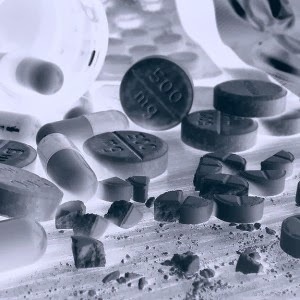 In fact, as you will read about below, there are 70 million Americans that are taking “mind-altering drugs” right now. If it seems like most people cannot think clearly these days, it is because they can’t. We love our legal drugs and it is getting worse with each passing year. And considering the fact that big corporations are making tens of billions of dollars peddling their drugs to the rest of us, don’t expect things to change any time soon.